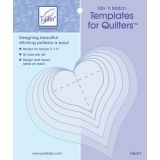 Mix'n Match Templates For Quilters 6/Pkg - JUNE TAILOR-Mix-Match Templates For Quilters. 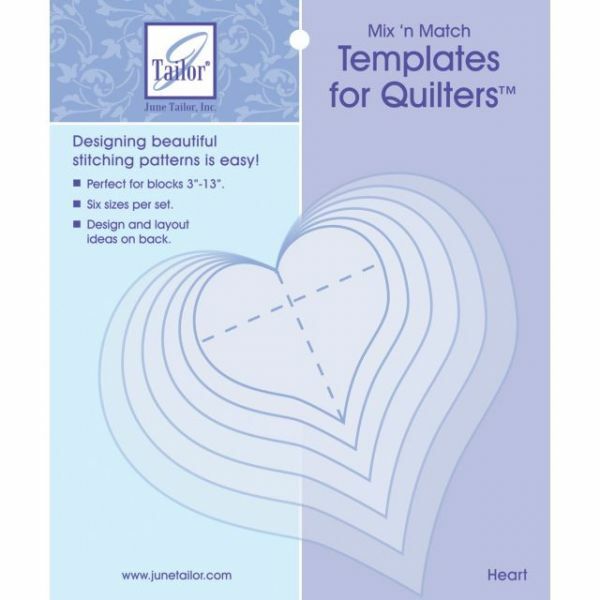 Design beautiful stitching patterns easily. Perfect for blocks 3in to 13in: each set contains six different sizes. Flexible see-through plastic with dotted lines, great for aligning template on fabric. A chain keeps the templates handy for quilt top design stitching as well as applique shapes. Design and layout ideas on back of package. Available in a variety of shapes and sizes: each sold separately. Made in USA.